make / baby, it's cold outside! 1. 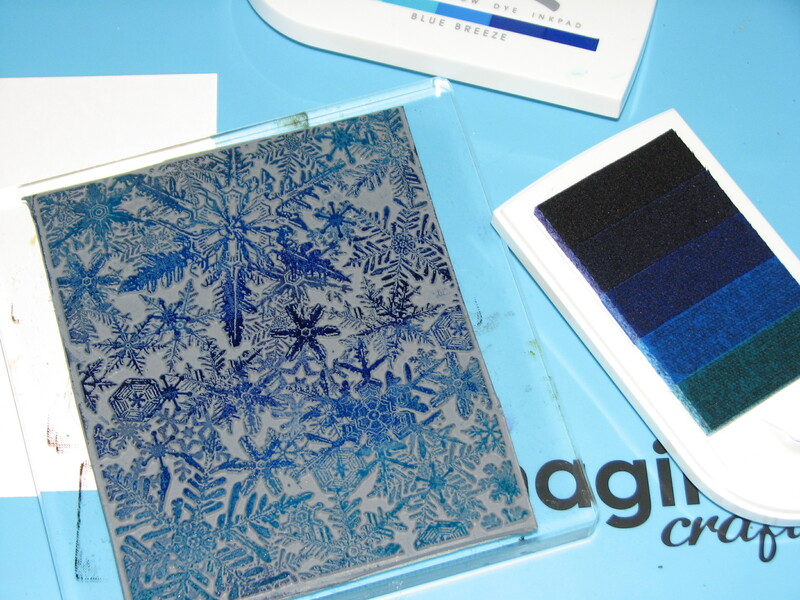 Begin by sliding the ink pads together on the Blue Breeze Kaliedacolor ink pad; Ink the snowflake background stamp making sure to keep the colors aligned as you ink along the stamp. Since this was such a large stamp I inked the top portion then flipped the ink pad around, lined up the existing darkest blue area on the stamp with the ink pad and again inked across the image. 2. 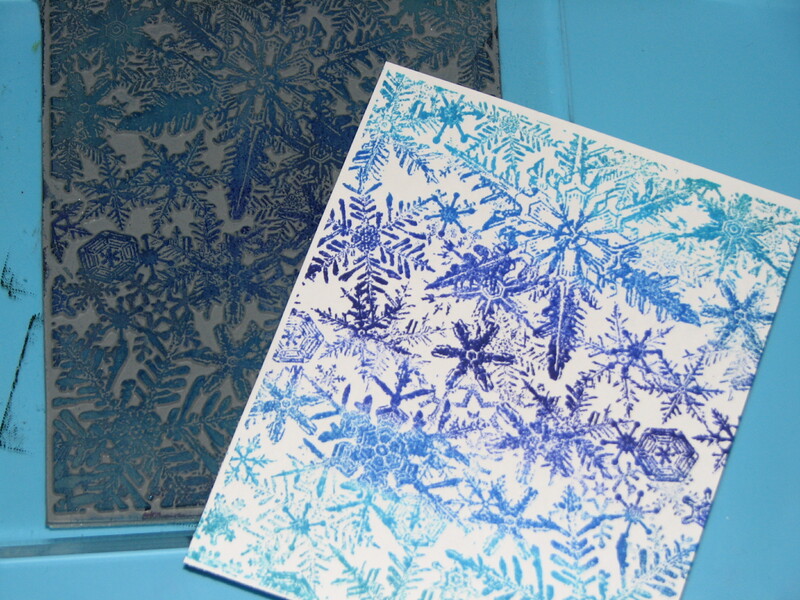 Press the inked stamp onto a blank card panel; immediately sprinkle with clear embossing powder and heat to melt. 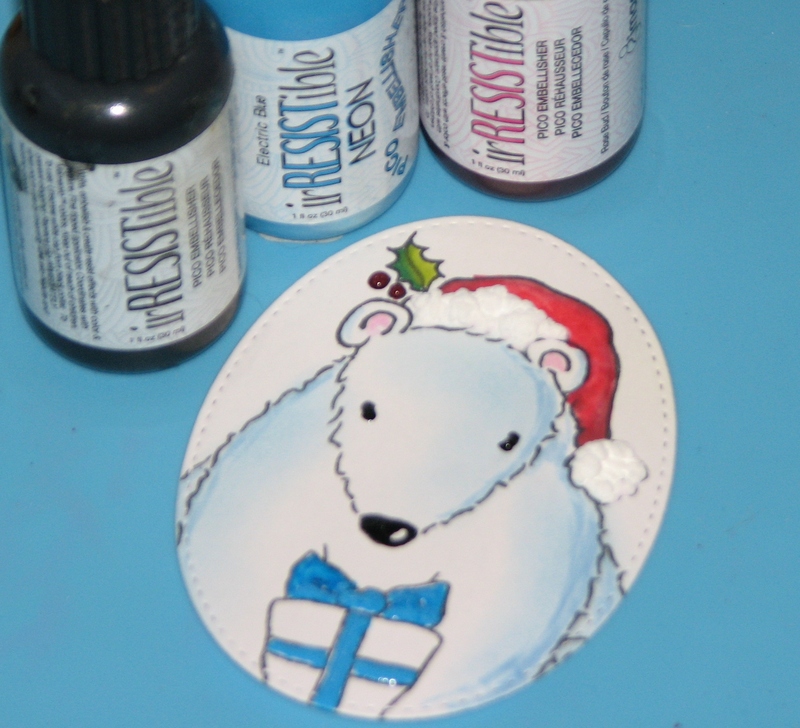 Since this is dye ink and dries quickly the embossing powder will stick to random areas of the design which is exactly what you’re going for. Set the card panel aside for now. 3. 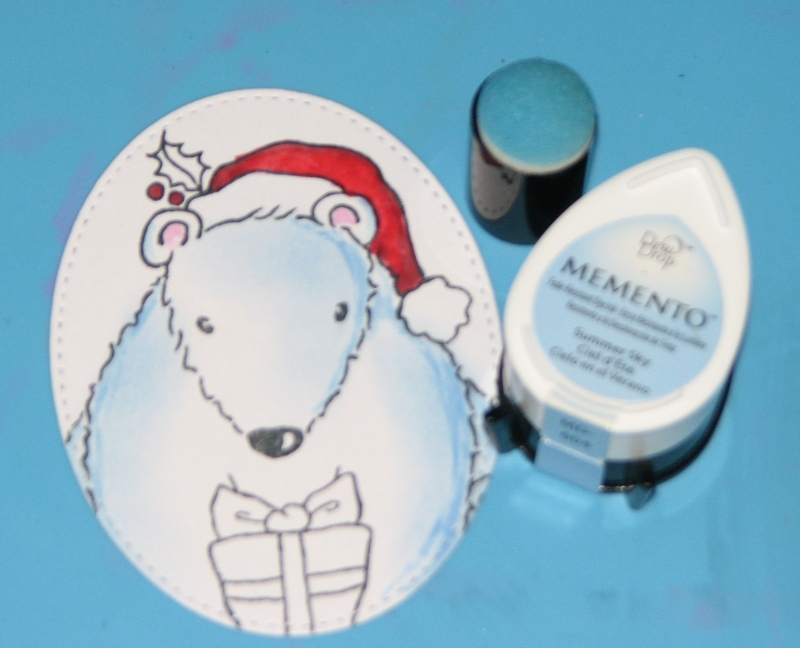 Stamp the polar bear as follows: bear body – Memento Summer Sky; ears – Angel Pink; hat and berries – a combination of Love Letter, Rhubarb Stalk; holly leaf – Pear Tart, Ivy Cottage. 4. 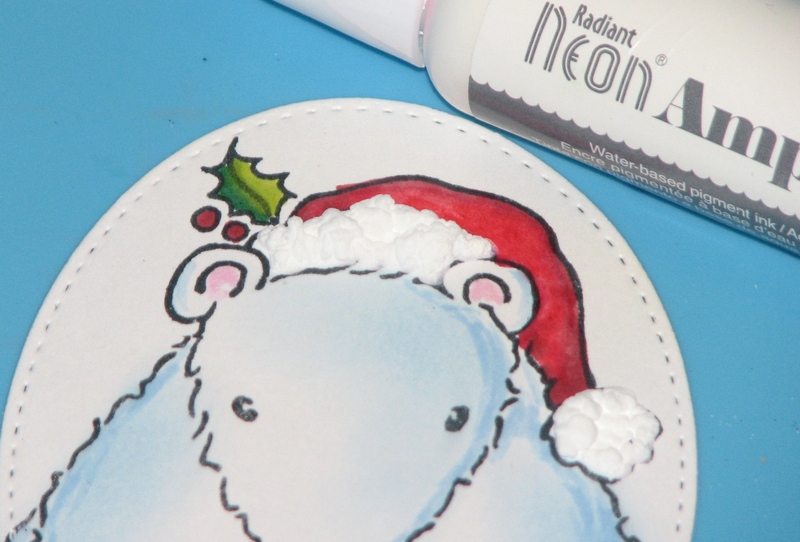 Apply White Radiant Neon Amplify to the bears hat fringe and ball; heat to activate the medium. 5. For a bit of raised detail add touches of irRESISTible Pico Embellisher to the eyes and nose (Tuxedo Black), berries (Rose Bud) and ribbon (Electric Blue). 6. 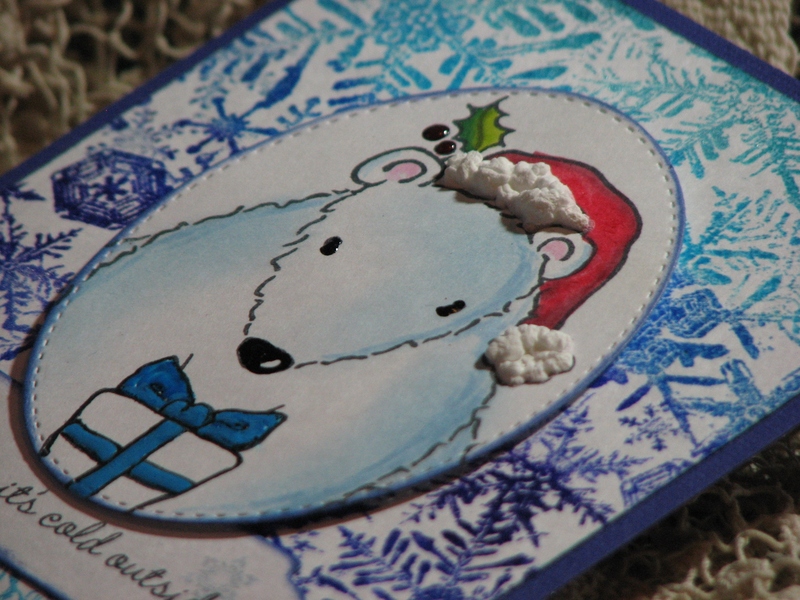 Die cut the main image and affix to the card panel using double stick foam tape. 7. Stamp sentiment on white cardstock, die-cut and affix to the card.